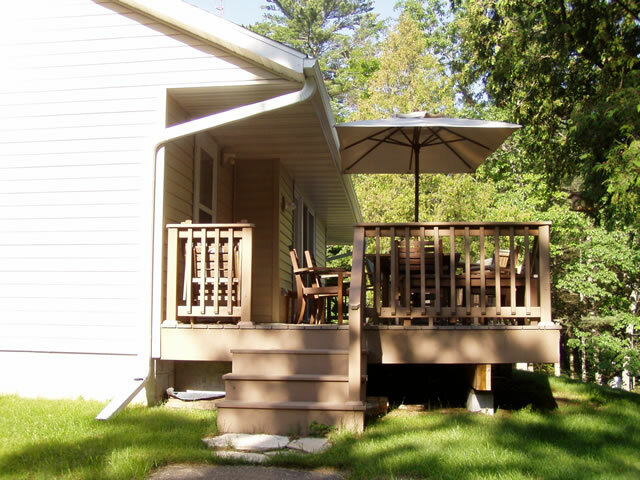 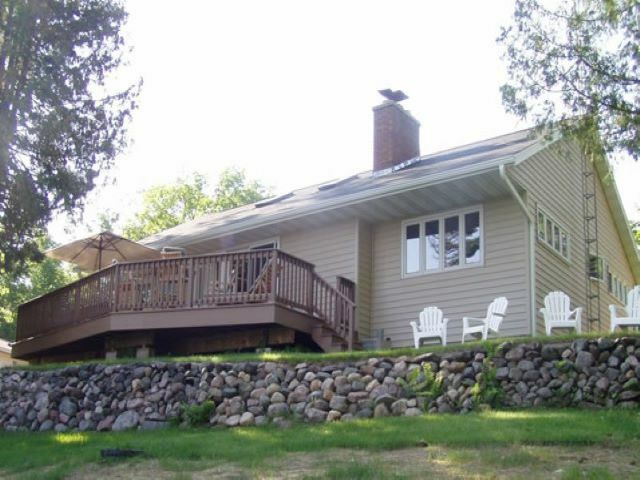 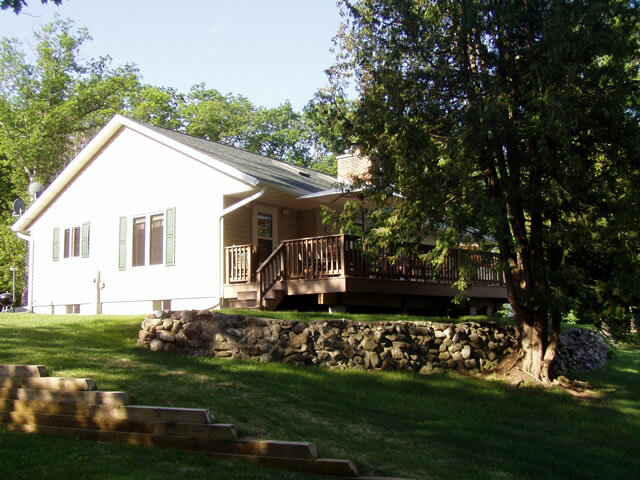 The Birchwood is a 4 bedroom, 2 bath vacation home with many recent updates. 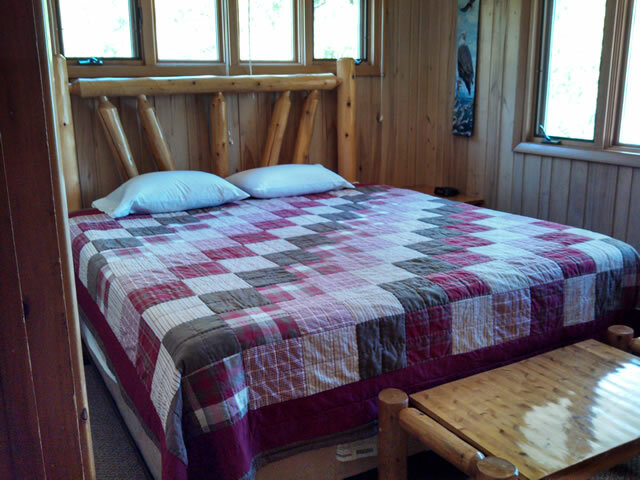 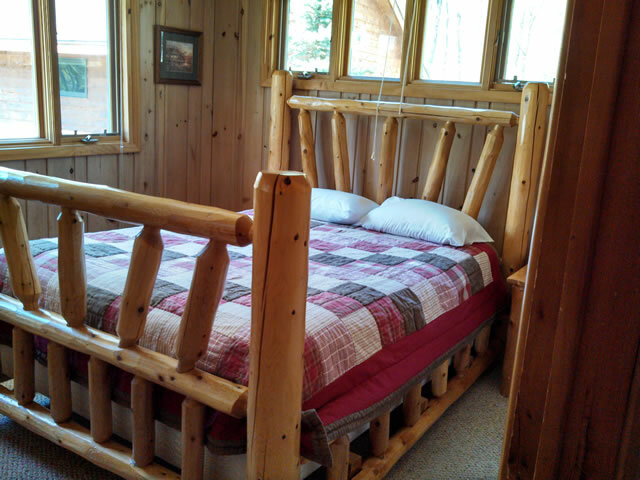 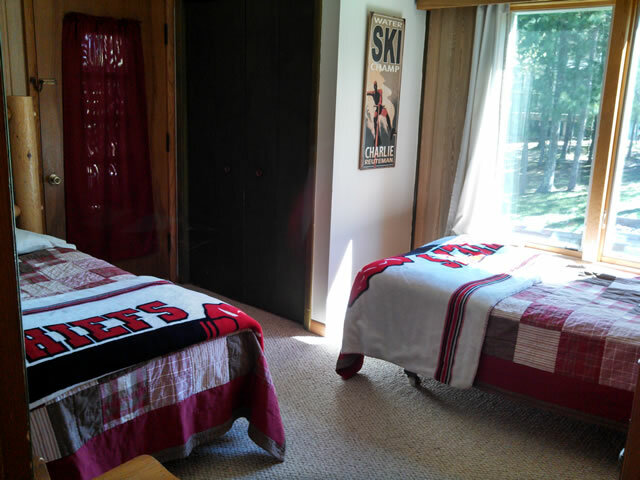 One bedroom has a king size bed, 2 bedrooms have queen sized beds, 1 bedroom has two twin beds. 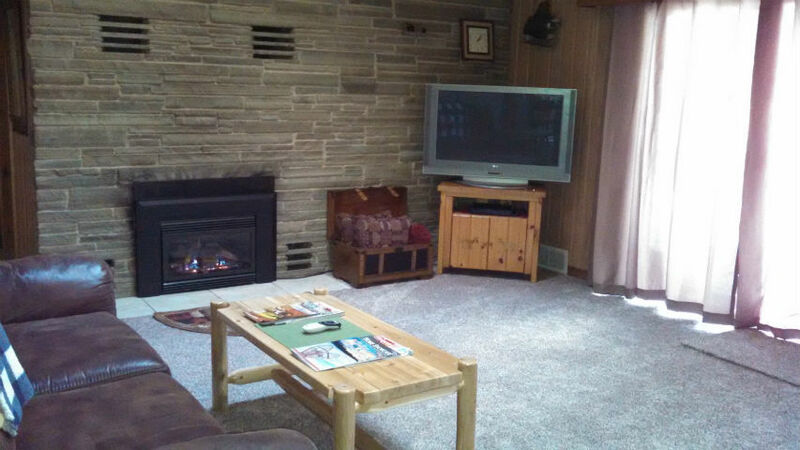 The living room has a new gas fireplace and sliding door leading to a large lakeside deck with patio furniture. 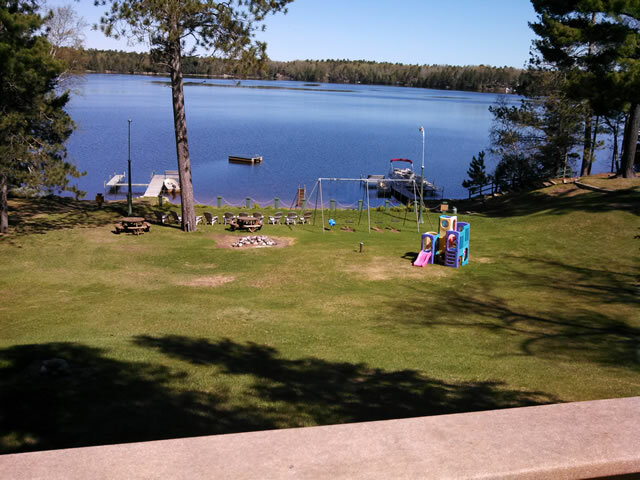 Birchwood sits directly above the beach offering awesome views of the lake as well as stunning sunsets! 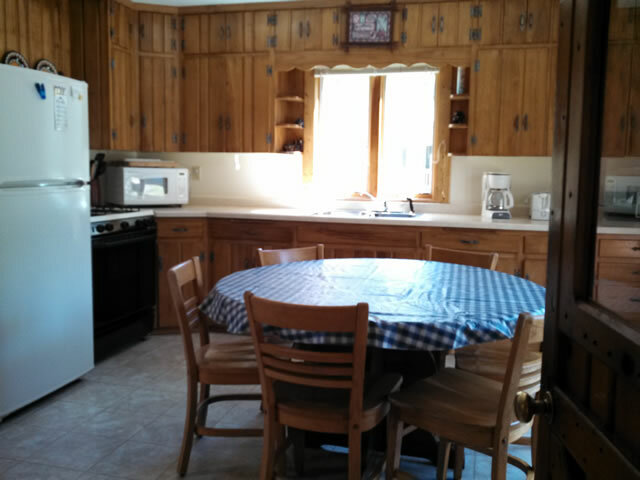 This unit is equipped with a complete kitchen including refrigerator, stove, dishwasher, microwave, cooking and eating utensils. 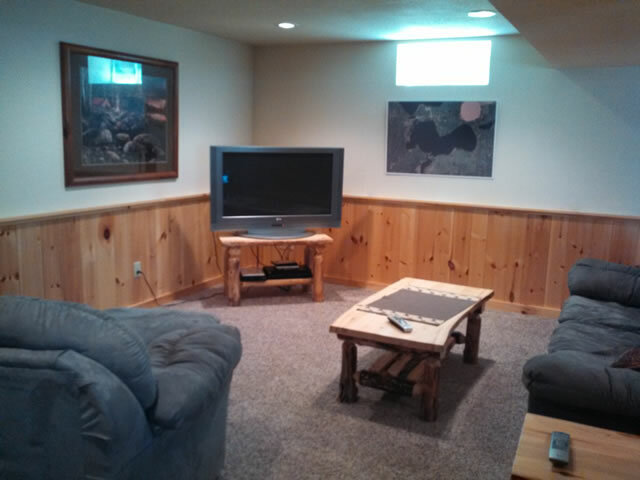 In the living room you will find a large flat screen satellite TV/DVD. 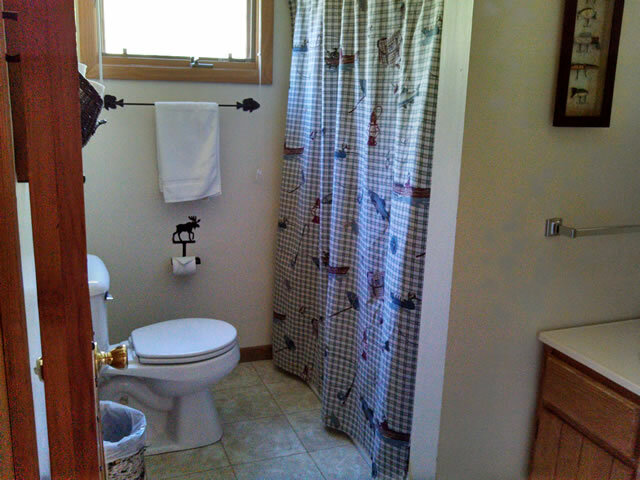 Birchwood has two bathrooms. 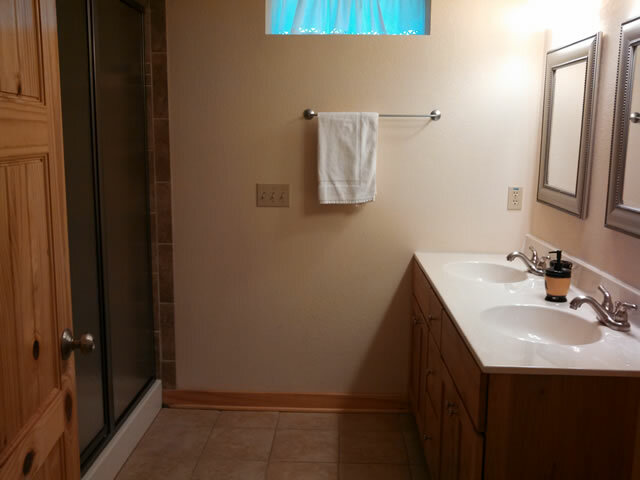 One with tub and shower on the main floor and another with a 5 foot shower in the lower level. 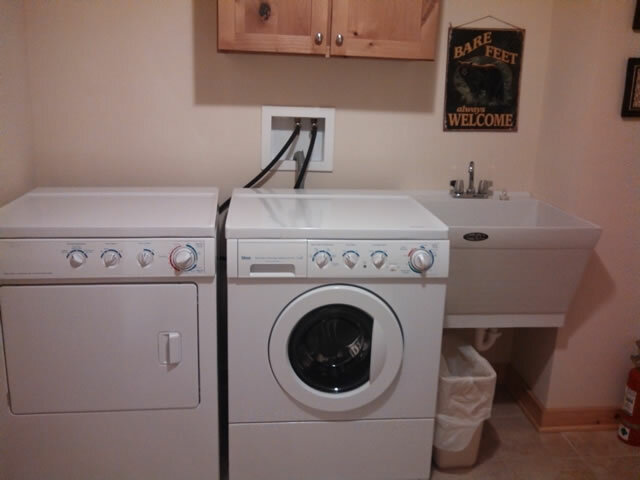 Birchwood also offers a washer and dryer, and central air conditioning for your convenience, as well as a Weber grill. 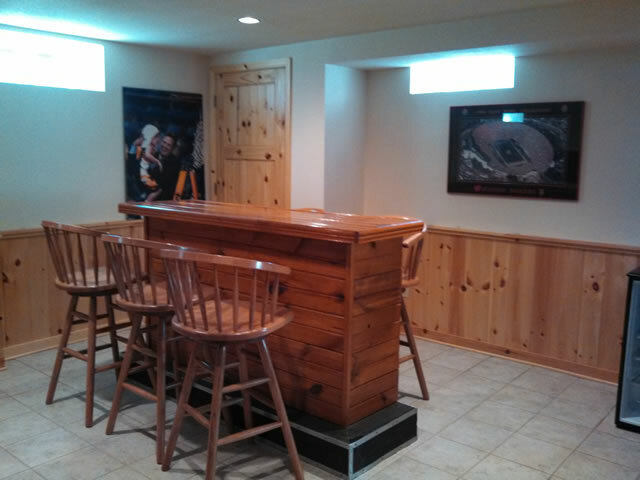 The lower level was completely remodeled in 2007. 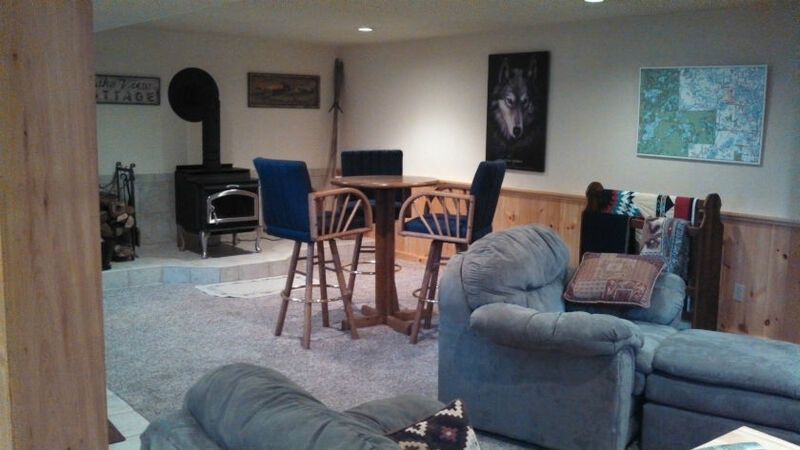 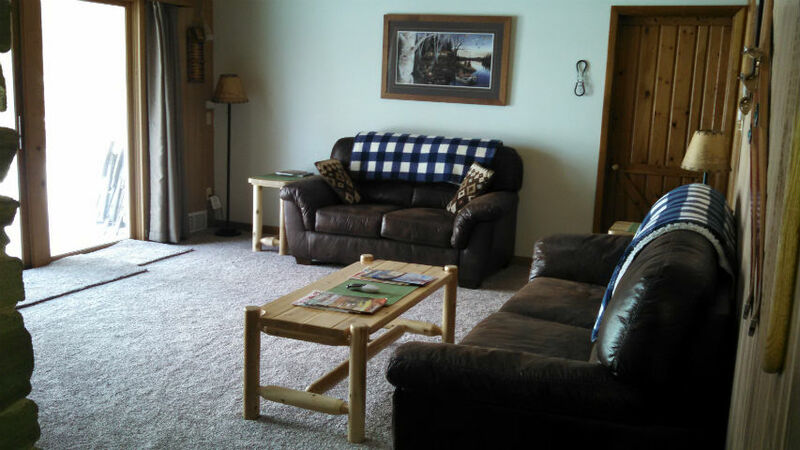 It includes a family room with woodstove, satellite TV/DVD, bar, laundry room, and new bathroom. 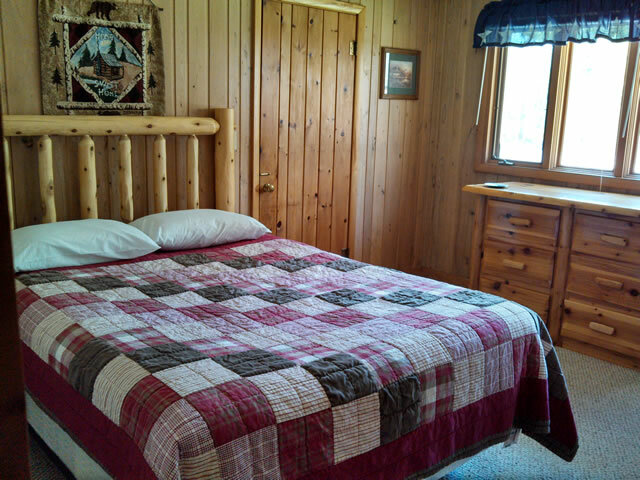 All bed linens are provided, please bring your own towels. 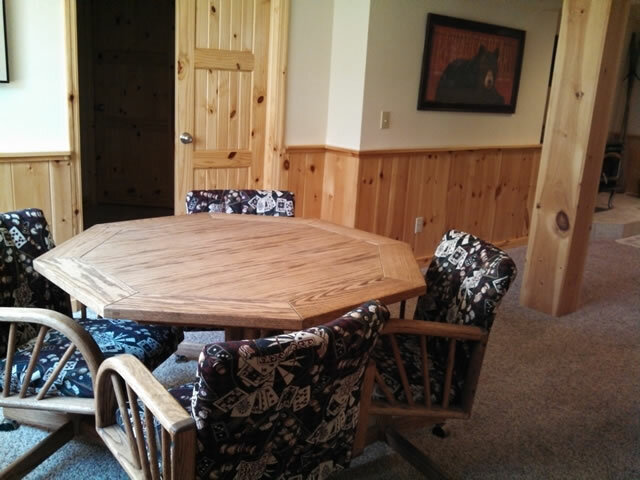 * The standard rate is for up to 8 people, 4 additional can be accommodated on the sleeper sofas for an extra charge.